In today’s world, you expect instant solutions. We agree. With our Instant Issue Debit Cards, for both Business and Personal accounts, now there is no more waiting to receive a card in the mail; no more inconvenience or having to carry cash or checks until a new or replacement card is received. 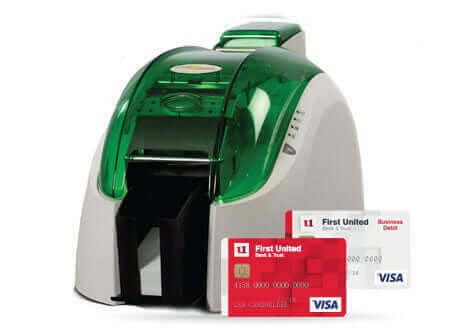 Plus, you'll have the security of knowing that your new card is a secure chip card; ready for the future of purchasing with improved security. * Fees and conditions may apply. Instant Issue only offered with in-office visits. First United does not mail Instant Issue Debit Cards, nor do we prepare them in advance of the customer’s in-office visit.